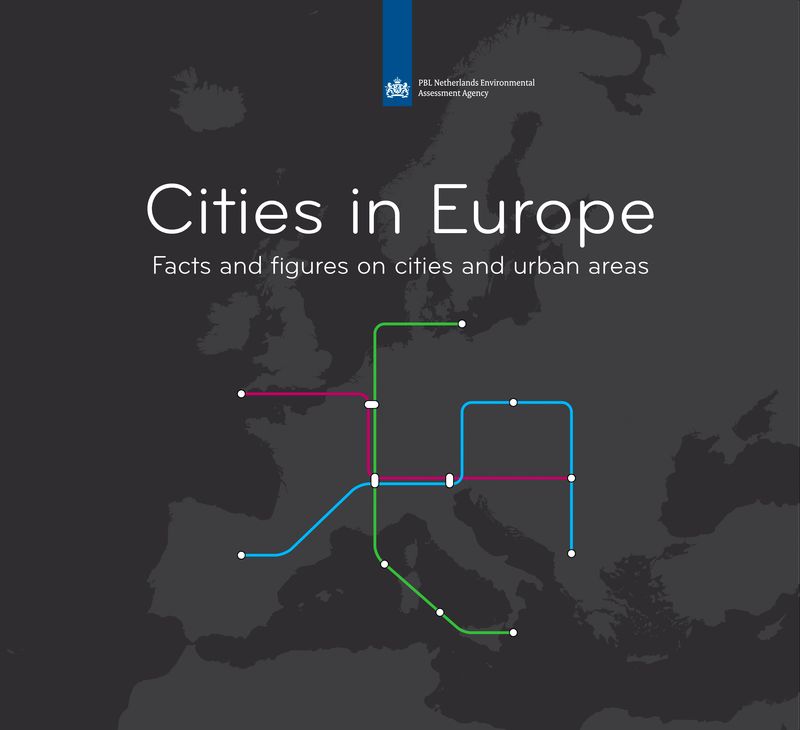 European cities are vital to the future of Europe. They are economic powerhouses, places of social interaction and fora that enable us to exchange ideas. Cities, however, are also the places where some of our biggest challenges manifest themselves. In this ‘urban age’ cities are becoming increasingly aware of their responsibilities as well as their capacities to play their part in addressing issues like poverty, segregation, and climate change adaptation. 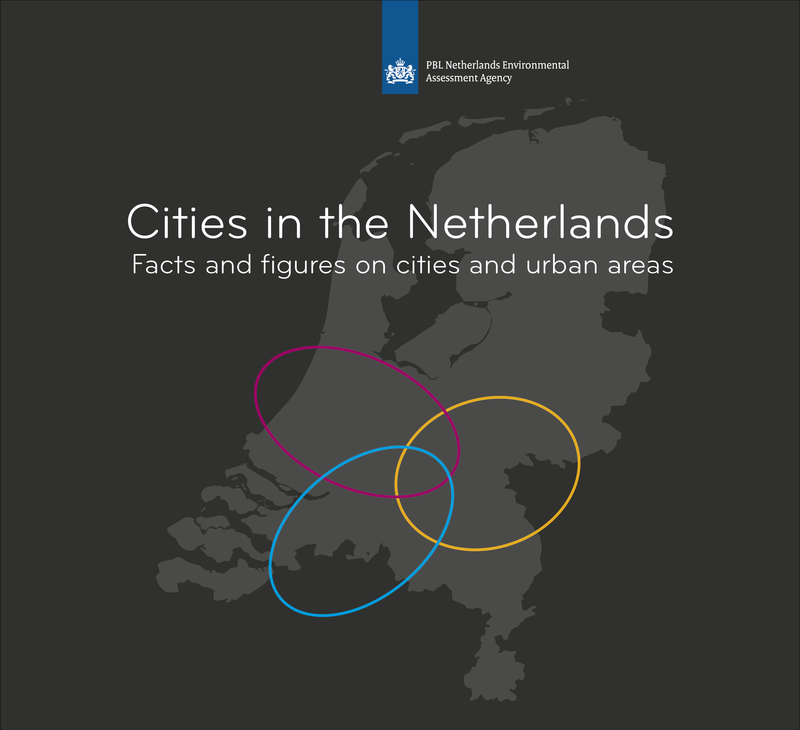 In ‘Cities in Europe/Cities in the Netherlands’, PBL Netherlands Environmental Assessment Agency presents 25 infographics on European and Dutch cities and the urban dimensions of a number of key challenges featuring prominently on both the Urban Agenda for the EU and the Dutch Agenda Stad, the national urban agenda for the Netherlands. Cities are expected to play a key role in delivering the Europe 2020 strategy for smart, green and inclusive growth (European Union, 2015). Therefore, the European Commission, EU Member States and European cities are collaborating to develop an Urban Agenda for the EU. The core objective of this Urban Agenda is to involve cities in the design of EU policy, to mobilise cities for the implementation of EU policies, and to strengthen the urban dimension in these policies. The Europe 2020 strategy envisions the transition towards smart growth through the development of an economy based on knowledge, research and innovation. Concerning smart growth, cities are at the forefront of innovation. Moreover, the physical concentration of people and capital means that cities are more productive than other places. The green growth objective relates to the promotion of more resource-efficient, greener and competitive markets. Healthy, compact and energy-efficient cities are key to green growth in Europe. Many European cities are currently developing or expanding their networks for sustainable transport, waste management, district heating and green infrastructures. The inclusive growth priority of the Europe 2020 strategy encompasses policies aimed at fostering job creation and poverty reduction. Cities can contribute to inclusive growth by combating social polarisation and poverty, by providing affordable housing and by integrating refugees and migrants into urban society. How do Europeans rate the quality of life in their city? To answer this question, the EU regularly conducts an extensive survey of almost 80 cities of varying sizes (European Union, 2016). This interactive visualisation shows the level of satisfaction according to seven indicators. Due to the complexity of this infographic it cannot be shown on a small screen. Please view the webpage on a tablet or desktop. 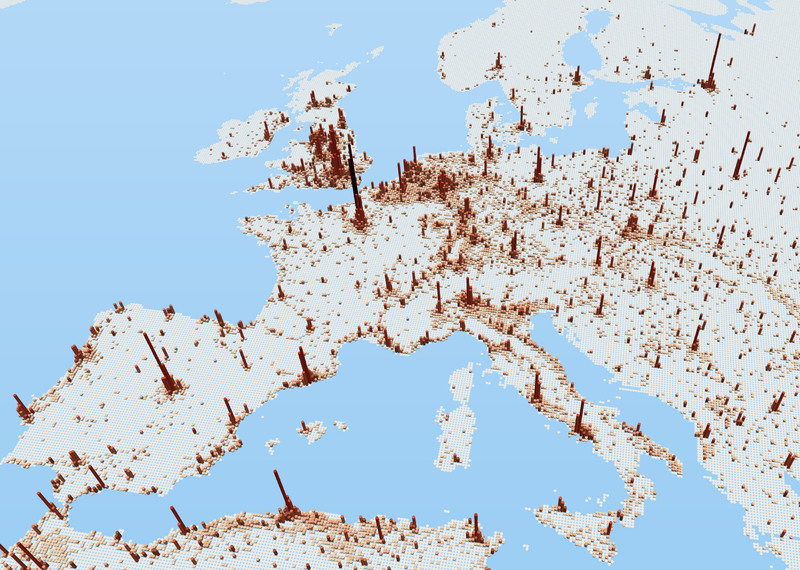 Urban areas in Europe come in all shapes and sizes. In general, four different morphological types can be distinguished: monocentric, dispersed, linear and polycentric urban regions. 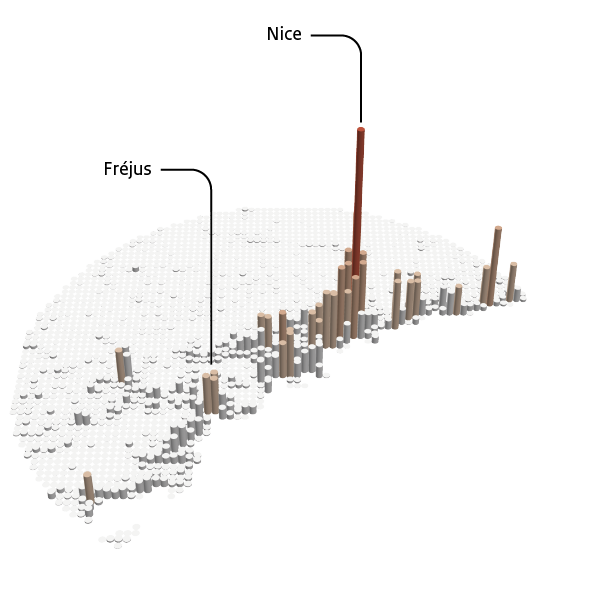 Regions with monocentric urban structures can be found in France, Spain, Portugal and countries in the northern and eastern parts of Europe, where cities are distributed over relatively wide areas. 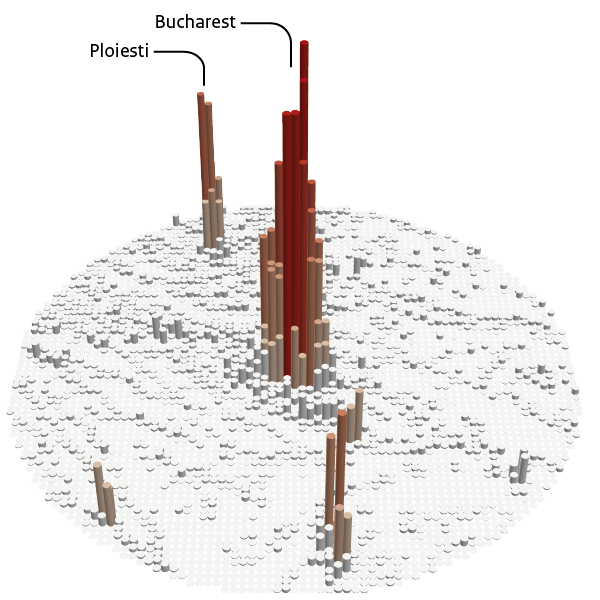 Dispersed urban patterns are formed by scattered or sprawling cities, towns and suburbs with relatively low densities Examples can be found in parts of Belgium, in northern Italy and in the south of Poland. Regions with linear forms of agglomeration have emerged along some of Europe’s coastlines, for instance in Portugal, in the southern parts of Spain and France, and in the east of Italy. Linear urban regions are also present in mountain valleys in Switzerland and Austria. 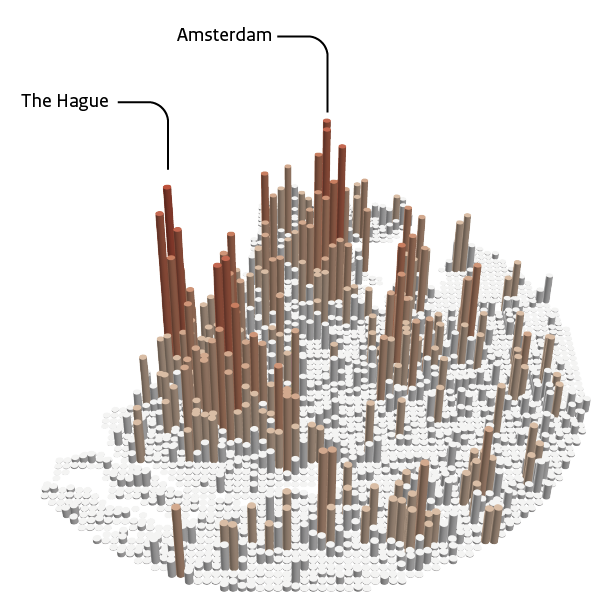 In polycentric urban regions, multiple cities lie in close proximity to one another. These kinds of regions can be found in the Netherlands, the western part of Germany and the southern half of the United Kingdom. For comments or questions about ‘Cities in Europe/Cities in the Netherlands’, please contact Kersten Nabielek (kersten.nabielek@pbl.nl). PBL Netherlands Environmental Assessment Agency is the national institute for strategic policy analysis in the fields of the environment, nature and spatial planning. We contribute to improving the quality of political and administrative decision-making by conducting outlook studies, analyses and evaluations in which an integrated approach is considered paramount. Policy relevance is the prime concern in all our studies. We conduct solicited and unsolicited research that is always independent and scientifically sound.